Does the type of hard drive affect load times for an Xbox 360 Slim? I currently have a 300 GB solid-state external USB 2.0 hard drive connected to my Xbox 360 slim and install / load games from it. Would load times in my games improve if I use the SATA drives (instead of the USB hard drive) like shown in the picture? There were some conflicting information when I looked into it (i.e. : here). If anyone did a test comparison on these two types of storage on the Xbox 360S, it could help answer the question. The Xbox 360 Slim uses SATA II which has an uncoded transfer rate of 2.4 Gbit/s (300 MB/s). USB 2.0 has an effective High Speed signaling rate throughput of 35 MB/s. The Xbox 360 Slim comes with a Hitachi HTS545025B9SA00 1.5Gbps (That's SATA I with an uncoded transfer rate of 1.2Gbps or 150 MB/s which is half of SATA II). SATA II is backward compatible but you'll be running at the lower SATA I speed. Moreover the included drive is a 5400 rpm HDD, not an SSD. Even with this, I expect you would see performance gains from using the SATA drive. Ideally you don't want to be using an external drive for gaming through USB as this takes more processing of the data going going back and forth, external drives aren't built for constant read/write speed the way internal ones are, and USB is just slower than SATA all day long. Conclusion: Use the current internal SATA that you have and if you want even faster performance consider investing in a SATA II SSD where you'll really see your storage bottleneck disappear. As an addition to @Adan's answer, I had purchased an official 320GB Microsoft hard drive for the Xbox 360S and ran a benchmark comparison test on a game with known long loading times, Skyrim. Assuming my Microsoft hard drive is a SATA I HDD, its theoretical 5x speed advantage (150 MB/s for SATA I vs. 35 MB/s for USB 2.0) could be compromised by other real-performance bottlenecks. I also did similar tests on other games (purchased / downloaded content) and noticed about the same load times regardless of using a USB 2.0 or an Microsoft HDD. Not the answer you're looking for? Browse other questions tagged xbox-360 performance hard-drive or ask your own question. How to use external hard drive with my xbox 360? 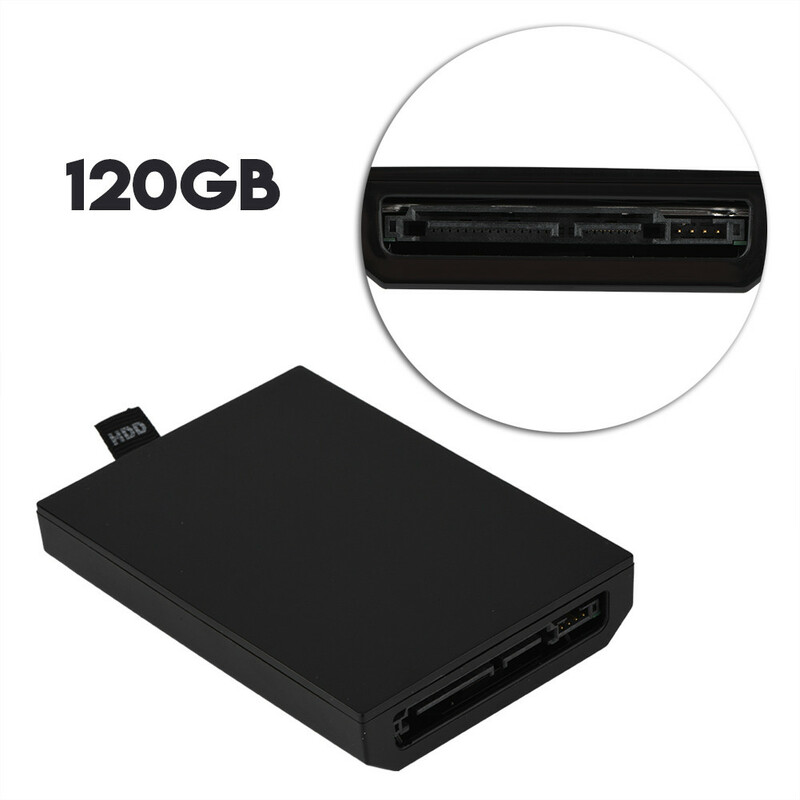 What should I consider while looking for a hard drive for PS3 12GB? For PC gaming on external storage, should I use Flash or HDD (hard disk drive)?